This June sees the highly anticipated arrival of the inaugural exhibition from our collective London Visual Arts – LoVArts. The show, titled ‘Chaos Control’, brings together a choice selection of works from talented, up & coming, London-based visual artists. 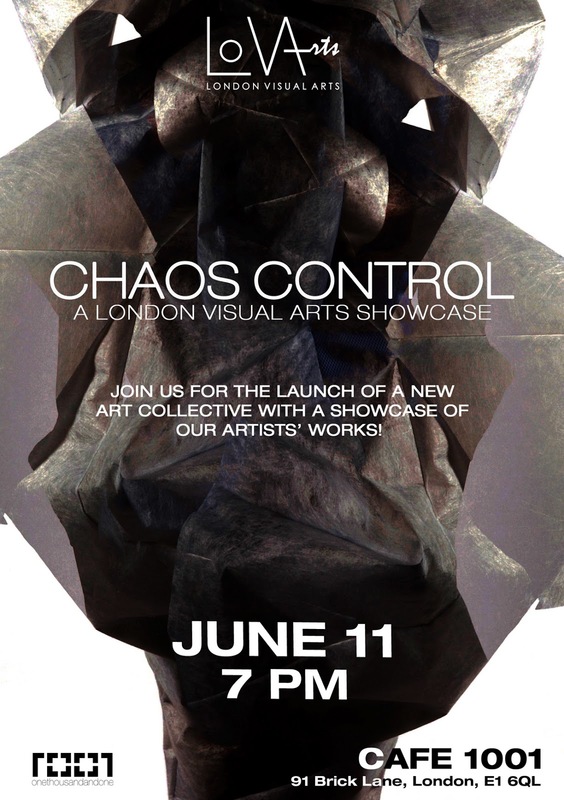 ‘Chaos Control, will be shown June 11, 2013 (7pm-11.30pm) at Café 1001 on East London’s legendary Brick Lane. Celebrating diversity and individualism, the exhibition will feature 30 artists in a mix of mediums, including: photography, graphic art, paintings, live performing art, film, and fashion. From the many mediums and artists in conjunction with the beauty of their individual and collective art stems the title of the exhibition ‘Chaos Control’. This entry was posted in Chaos Control, Chaos Control Showcase, Events, Projects and tagged Brick Lane, chaos control, London Visual Arts - LoVArts, Visual arts. Bookmark the permalink. ← Submissions for ‘Chaos Control’ now open!